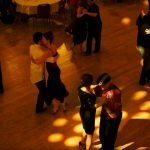 Update 12/12/18 – Cellspace Milonga will be held the last Wednesday of every month starting January 2019. 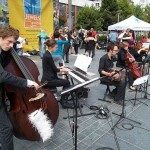 CELLspace is organized by Project Tango a volunteer-run organization. 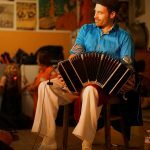 Their mission is “To promote tango as a social dance and evolving art form in our world culture while building and maintaining individual and community integrity, balance and respect.” The music is 50/50 with rotating traditional and alternative sets. 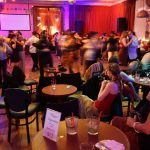 This is a great place for beginners as its atmosphere is more relaxed compared to many other venues. 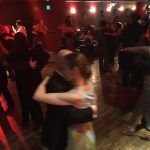 The beginner and intermediate classes before the milonga are a great deal at only $10 and are taught by various local instructors. 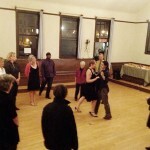 Beginner and Intermediate classes at 8:10pm, milonga 9:10 – midnight. Parking: Easy on street near venue. Please be careful and do not keep valuables in car. Bar: no, but snacks and water are provided. 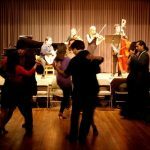 The Berkeley City Club is a gorgeous venue for Tango. The building was designed by Julia Morgan, Berkley’s most famous architect. Everyone is welcome! 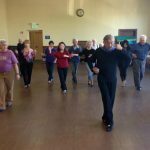 No partner or experience necessary. All genders are encouraged to lead and follow. For Julia’s Restaurant, reservations are available from 5:00 to 8:30 pm. Morgan’s Bar is open from 4:00 to 9:00 pm. To enter, Ring bell and say “tango”! 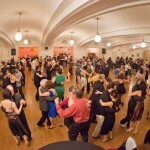 Berkeley City Club members receive a $5 discount. Parking: No parking in the BCC lot; please use another lot nearby or park on the street.